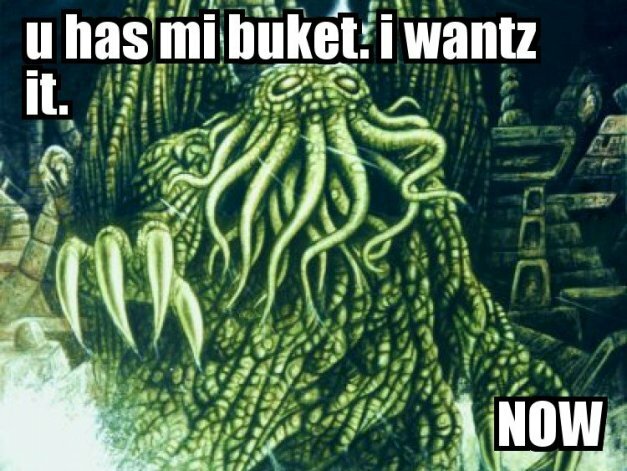 LOLTHULHU » U HAS MI BUKET. I WANTZ IT. NOW. 4 Responses to U HAS MI BUKET. I WANTZ IT. NOW. U MISPELD UR LAST WERD. MAI BUKKET. CAN NOT HAS.